The ideal travel companion, full of insider advice on what to see and do, plus detailed itineraries and comprehensive maps for exploring this expansive and diverse country. Climb the Empire State building, sample world-class wines in California's Napa Valley, take in the glitz and glamour of Las Vegas, marvel at the vast expanse of the Grand Canyon or explore picturesque villages in New England:everything you need to know is clearly laid out within colour-coded chapters. Discover the best of USA with this indispensable travel guide. 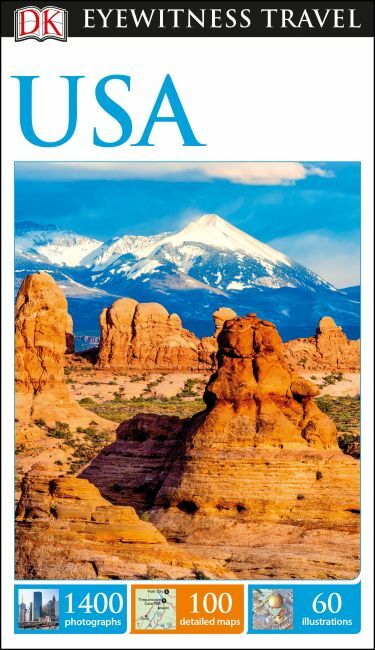 DK Eyewitness Travel Guide USA is a detailed, easy-to-use guide designed to help you get the most from your visit to this diverse country. On a shorter break? Try our DK Eyewitness Travel Guides to New York City, San Francisco or Las Vegas.